I’ve named them thus due to starting the socks for J before the ending of our relationship. I’ve hurried to finish them off and send them off even with the end of the relationship, simply because I prefer not to keep them around now. 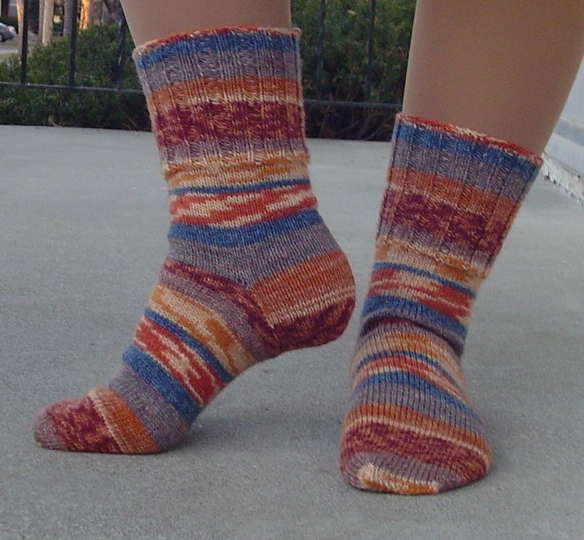 The pattern is my favorite from Vintage Socks, the yarn is from Lang Jawoll, it is silk/wool with reinforcement thread for the heels and toes. My wish for these socks would be that they last a very long time. Last year I wrote an account of being asked to knit a colorwork stocking for a relative. 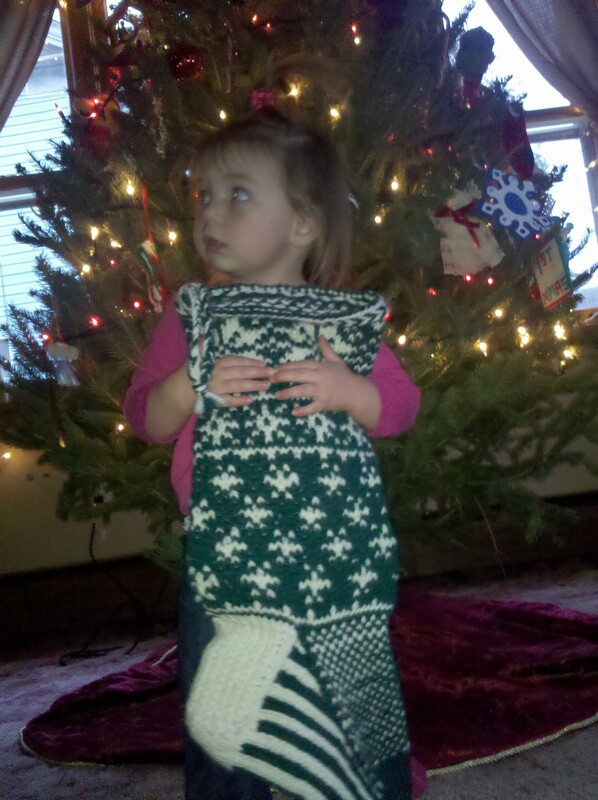 Though much has changed in one year, little Aliya has her stocking and I have a precious picture that I wanted to share with you. In the season where family means so much, in the season where beloved family members are remembered, I am (hopefully) leaving a legacy. Will I ever stop with the socks? I am beginning to think that it is unlikely. While I took a large project with me on Thanksgiving vacation, I’d also just received some Harry Potter Opal sock yarn and on a whim took that too. 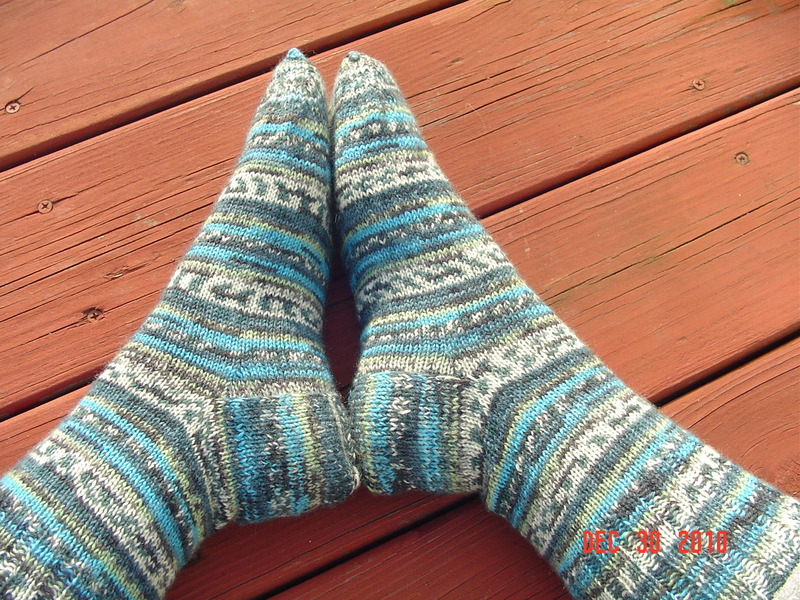 In the end, no knitting happened on the large project, but a new pair of socks were created.